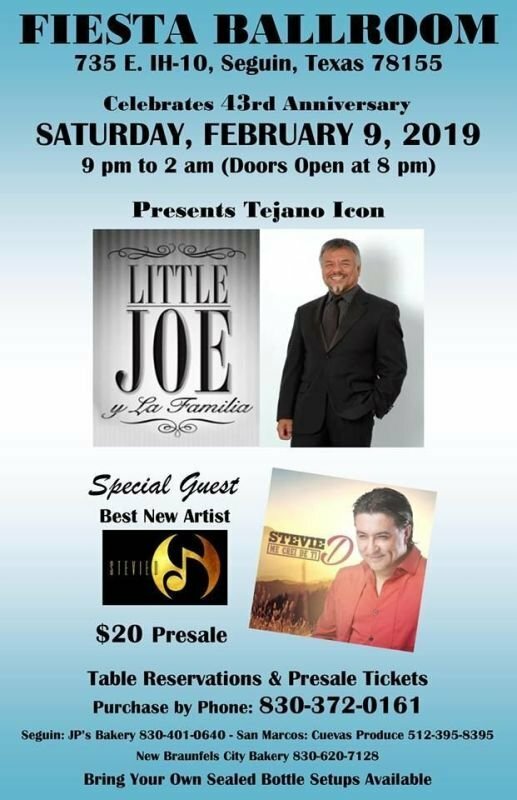 TICKET / TABLE PURCHASE "HOW TO"
Little Joe & La Familia has been one of the most popular Tex-Mex bands in the music industry. Little Joe has been entertaining more than 50 years and has been described as the "KING OF THE BROWN SOUND". He has also helped pioneer "Tex-Mex"music. TICKETS FOR SALE AT $20.00 FROM THE FOLLOWING LOCATIONS: SEGUIN - FIESTA BALLROOM, JP'S BAKERY (830-401-0640), SAN MARCOS - CUEVAS PRODUCE (512-395-8395), NEW BRAUNFELS - CITY BAKERY (830-620-7128).... ONLINE, CREDIT CARD PURCHASES WILL INCUR A $1.00 PER TICKET CONVENIENCE FEE. TICKETS $25.00 ON THE DAY OF THE CONCERT. 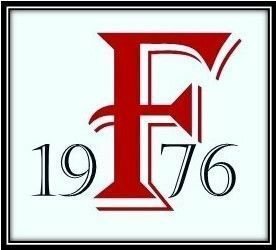 YOU CAN PURCHASE TICKETS AND TABLE RESERVATIONS ($25.00), IN PERSON, AT FIESTA BALLROOM: OPEN TUESDAY, THURSDAY, AND SATURDAY 5-9 PM AND SUNDAY 12-4 PM OR CALL 830-372-0161. SEE TABLE RESERVATIONS PAGE FOR CURRENT AVAILABILITY.